It’s nearly Christmas, and you need a present for all your doggie-owning chums don’t you? Well look no further! 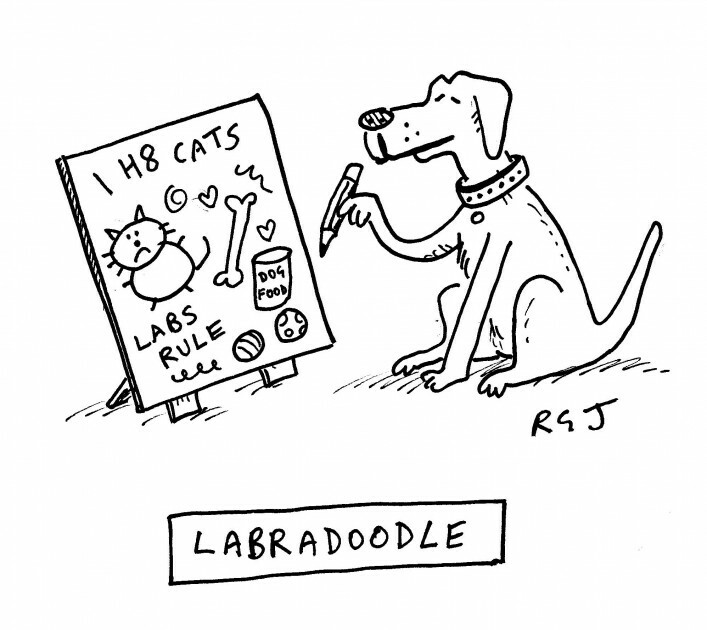 What about my Labradoodle cartoon, as seen in the Spectator? I can sell you an original, hand-drawn version for £100 or a signed print for a mere £40. Send a cheque to my contact address as usual or email me for details. Then settle back and have a lovely Christmas, knowing your present-buying is all wrapped up. Or resist this opportunity and watch your relatives cry and their pet lab howl in sadness. Why would you do that to them? Why? WHY?? Buy a cartoon now. NOW I say! !